So The Conservative-led council weighed up the pros and cons and agreed the Grafton Way development??? Thought it was the planning committee- so had the Tory members already decided? Panning is non political- are you implying it was a group action? Same Tory led council who sold the Civic Centre site to another developer then promoted the Grafton Way development straight afterwards- leaving the Civic Centre site derelict? Don’t be so naive Alasdair – of course planning is political. It should be – councillors are elected as POLITICIANS to make decisions on behalf of their electorate. If I elect a Tory I EXPECT them to vote for business and enterprise at a planning committee! Same reason I am not surprised Labour voted against Tesco jobs: you prefer people to sit on benefits all day and have no aspiration. That’s what socialism is all about isn’t it? Keeping everyone in their box? Alasdair – the Labour group has pre-meetings before Planning Committee doesn’t it? What is “Panning”, I wonder? My dictionary defines it as prospecting for gold. Planning – but seems like the planning committee was not needed as according to Gavin the Tory Group had decided to go ahead with the Tesco plan! Alasdair we’ve had this conversation more than once. You made it perfectly clear at the time that “Labour” had voted against the scheme. This was duly reported on Ipswich Spy. Nobody from the Labour Party complained that this was misrepresenting their views. If Planning were to be truly apolitical, councillors should not have group pre-meetings before the committee to determine, well what, exactly? Gavin it is slightly unfair to suggest, as you do, that IBC are promoting the site for residential. Judy suggested in her comment in the article that I wrote that the residential recommendation came from IBC, but in the residential recommendation was actually what industry sources tell me Spenhill’s agents are promoting. I think it is a stretch to go as far as you do in saying this. 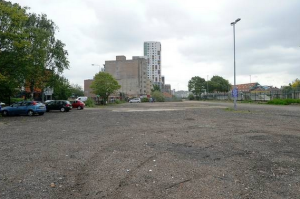 This is a post I wrote back in September about the derelict site on Grafton Way which was once earmarked for a £90M investment comprising a hypermarket, hotel and piazza facing the Waterfront. That is it was until Labour got back into power in 2011 when they made it perfectly clear to Tesco they didn’t want their money or jobs. Today, the funeral took place when Tesco decided enough was enough and pulled their final planning permission for a much scaled down development on the site. RIP Ipswich economic development. No flowers. An interesting discussion is worth comment. I believe that you ought to write more about this topic, it might not be a taboo subject but typically people do not discuss these subjects. To the next! Best wishes! !